We all attract what we actually anticipate, Our desires are the reflections of our personality. An inspiration can lead us to the height of our dream as this outfit. Presenting you now the most demanding masterpiece from the famous movie Suicide Squad. The Dead Shop jacket is available for sale. 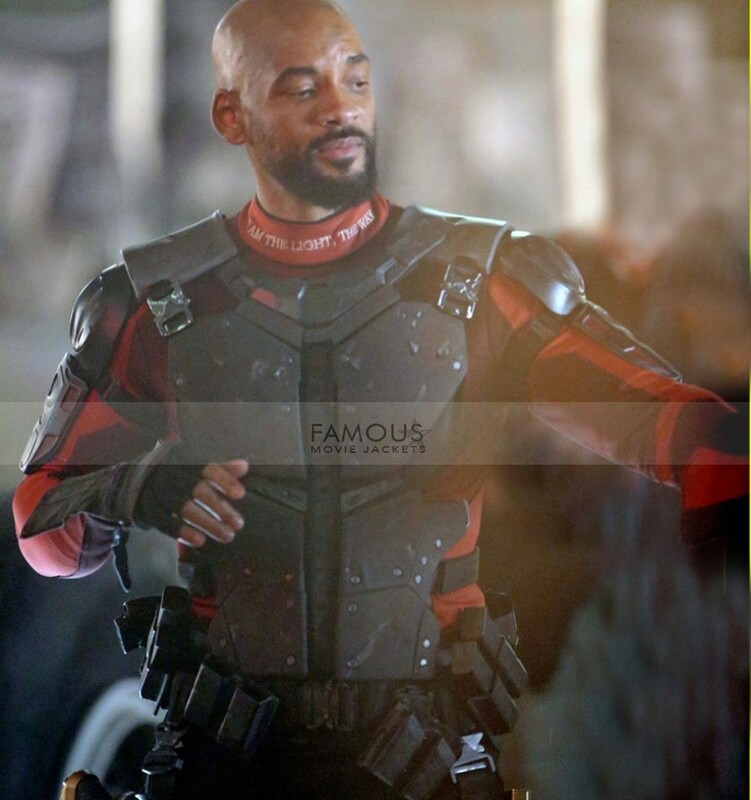 Now dressing up in your dreamy way wearing this Suicide Squad Deadshot Will Smith Costume Jacket is just one click far from you. The plot of Suicide Squad follows the antihero team appearing in American Comics published by DC. The Suicide Squad team is based on supervillains who carryout secret missions. The character of Deadshot is the one with amazing traits. Will Smith portrayed this role. 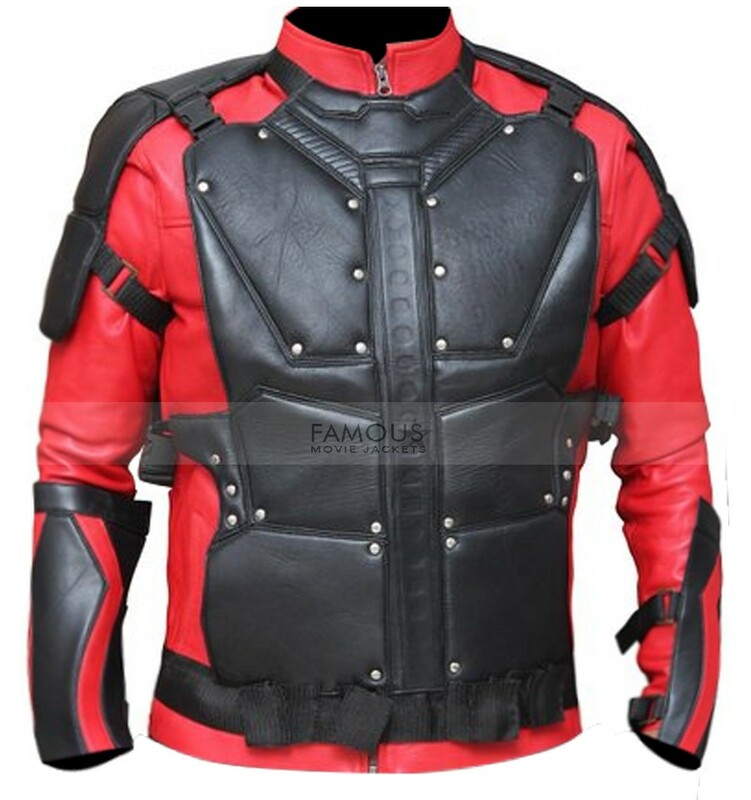 Famous Movie Jacket is offering a wide range of Suicide Squad’s costumes. 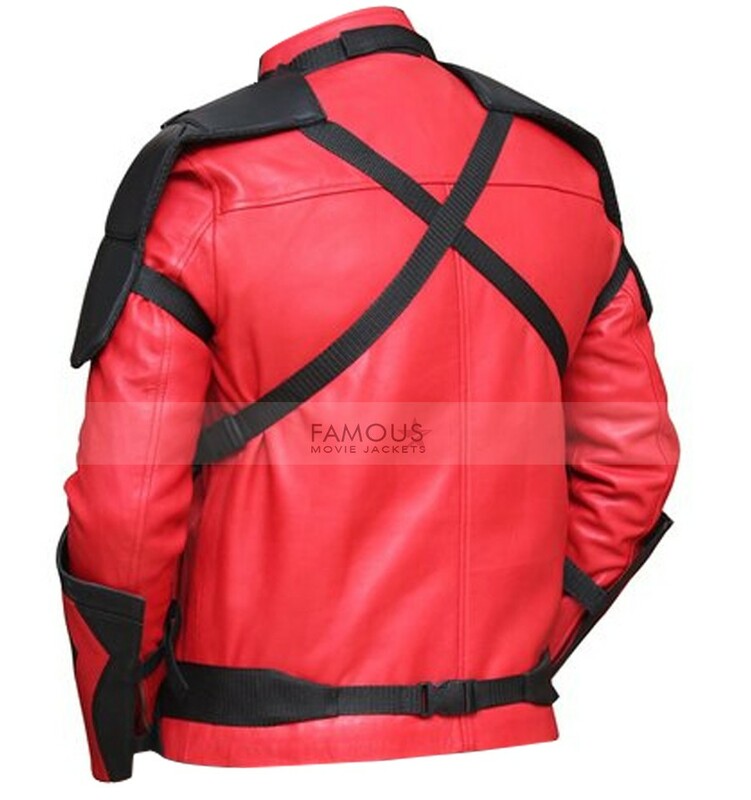 Now Deadshot costume is available for sale. 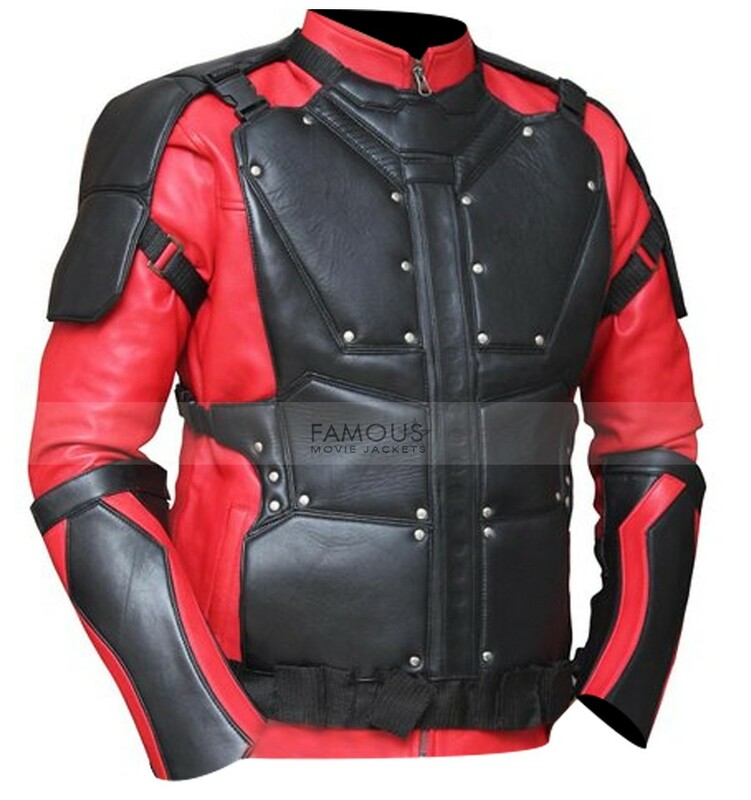 Will Smith Suicide Squad costume is made from pure quality leather the jacket is crafted by our skilled craftsman is exact manner. At the same time, the vibrant red color is must pick for all vivacious lads. Moreover, the inner fabric is comfy and soft. Having front branded zip closure we are also providing leather front removable pads. Is this something you are looking to get impressive looks? So, go ahead place your order now and astonish the people around you.